Refurbished inline homogeniser. Made by Bloomat England. This unit has 50 mm RJT ports a single ceramic / carbon seal and is powered by a 7.5 kw 2900 rpm new motor. GNP Equipment buy, sell and locate good quality used and reconditioned food industry and chemical process equipment, both here in the UK and Abroad. 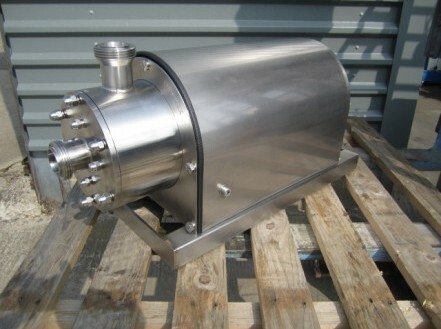 We stock a wide range of food processing equipment and chemical processing machinery. GNP Equipment stocks everything from agitators, filters to tanks and valves. We will only source the very best quality machinery and sell at competitive prices. As well as being one of the leading UK suppliers of food and chemical process equipment, we are always looking to expand our current range of products. If you have a piece of chemical or food processing machinery to sell - give us a call we will give you a competitive price. Even if you don't see what you require, whether plastic process equipment or chemical process equipment, within our listings please don't hesitate to ask, we may have your requirement on our database. Popular brands of process equipment include Worthington Simpson, Labour, Winkworth and many more. GNP Equipment are located in the North East of England UK, and are well serviced with good road, rail, seaports and airports for both equipment and clients. GNP Equipment provides a high level of customer service, from initial enquiry, through to completion of the sale. Even if you don't see what you require, whether plastic process equipment or chemical process equipment, within our listings please don't hesitate to ask, we may have your requirement on our database. Popular brands of process equipment include Worthington Simpson, Labour, Winkworth and many more. We are located in the North East of England UK, and are well serviced with good road, rail, seaports and airports for both equipment and clients. Have a look at our range of food process machinery or chemical processing equipment and please get in touch with any questions you might have by calling: 07932 995844 or email us at: info@gnpequipment.co.uk. 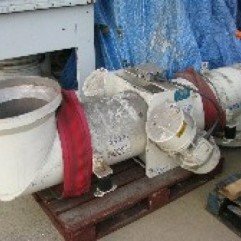 Ajax / Gutteridge 200 mm dia auger with jacketed trough. Ajax 150 mm dia. stainless steel screw auger. 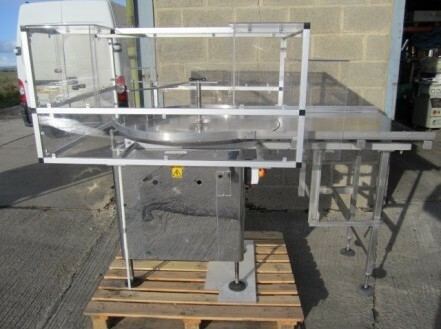 Flexicon stainless steel conveyor with flexable s/s spiral. Hethon 50 mm auger Feeder. Morgenson stainless steel vibrating tubular conveyor.